As the leaves turn beautiful hues of golden brown and deep rich reds, the seasons are definitely changing. We welcome Autumn with excitement about what lies ahead and look back on an amazing wedding season that’s been incredibly fulfilling, if a little exhausting at times! 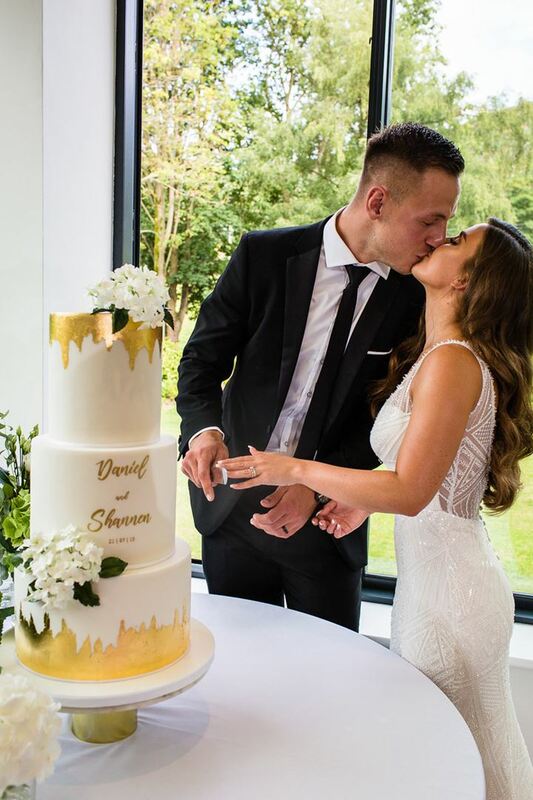 I work closely with each couple, as well as their chosen suppliers such as florists, stylists, stationery designers and venues to ensure each cake we design is the perfect manifestation of their wedding vision in cake form! As I look back at the weddings from the Spring and Summer season, I just love how varied and individual they all are. I also love how we get to work with such an amazing array of incredibly talented suppliers, each and every one of them putting their heart and soul into their work for their clients, just as we do. Being able to surround myself with like-minded individuals who have the same ethos and work ethic as me is so important and really keeps me on my toes, providing me with constant inspiration! It’s fair to say that I’m never going to get bored doing this job. It’s crazy, exciting, exhausting, even frustrating at times, but it’s NEVER boring! Each cake commission that comes our way is a challenge to be better, an opportunity to be different, dare I say it, the chance to trail blaze and I value this enormously. This year we’ve been lucky to get some incredible briefs from the loveliest of clients. Many of our couples seek us out because they love what we do and then it's my job to make them love it even more! We’ve had some of the most amazing feedback and thank-yous from our couples this year and it’s really what keeps me going, keeps me striving to be better for all the couples who are still to come. I love how invested and excited our couples get about their wedding cake, even following their initial design consultation and tasting, clients get a real buzz about their cake and it becomes one of the main things they can’t wait to see (and taste of course) on the day! Over the Spring and Summer I’ve set wedding cakes up at venues across the entire North West and it seems that we’re getting further afield each year. Each venue is so different and each one has different implications for the cake. How it’s designed, where and how displayed, if the cake needs moving for the cutting, how it will be served and of course, not forgetting two things that cake designers concern themselves most with at venues - how level the floor is and how warm the room is going to get on the day! There’s no doubt about it, this Summer has been a scorcher! Thankfully for us, we invested in air conditioning in the studio years ago but venues are a different story and the stories are so varied, it's lucky that we know a lot of the venues well enough to be able to guide our clients on what’s best when it comes to cake! From marquees and tipis, to barns, manor houses and hotels - knowing the environment that the cake is going to be in, in advance of the actual wedding day makes the delivery a lot less stressful and means we can properly advise clients, liaising with the venue team early on to ensure plans are in place for all eventualities - let’s face it the British weather is nothing if it’s not unpredictable! Inbetween weddings, we've also been lucky enough to collaborate on some really gorgeous styled photoshoots. These give us the chance to experiment with new techniques, try out new sugar flower varieties, and work with colour schemes that perhaps haven’t yet been adopted by any of our couples. Giving us the opportunity to demonstrate what can be achieved in wedding cake design so our couples can have a cake that none of their guests have ever seen before. We also get to see new venue spaces during shoots such as the beautiful Fig House at Middleton Lodge where we joined a team including One Stylish Day, Nicola Dixon Photography, Jo Bradbury Photography, Boho Chic Weddings and Lucy MacNicoll Floral Design to create something really special! Time spent amongst other creative talents and having the freedom to indulge my own thoughts and ideas with regards to cake designs is not only a luxury but also, for me, a complete necessity. It allows me to work without any of the potential confines of a client brief and instead create something that is truly unique and true to me - a little self indulgent but it’s always exciting! Now that Summer is well and truly over and I’ve swapped the air con for the central heating and thick socks, we’ve started to schedule our Design Consultation & Tasting sessions with new clients who are getting married in 2019 and yes, even 2020! I’m also scheduling some small group classes in the studio from November. With the launch of our Sugarcraft School, dates for these will be released soon. Farewell to a crazy Spring/Summer season and roll on all of the exciting projects for Autumn and Winter!